My memories of him are probably rose-coloured due to my age and the significant influence of a small Tupperware box full of sweet treats beside his bed. He had a gentle soul and a content disposition, always so gracious when I interrupted his reading or strawberry picking to tell him a story. He seemed to carry a cheerful whistling tune wherever he went and most of all He loved God deeply. His name was Herbert Henry, known to many as Harry. He was born 1 May 1917 with his twin sister, as the youngest of four children. His mother died eleven weeks later and he spent some of his childhood in an orphanage, seriously malnourished, while his father travelled around Australia as a Salvation Army minister. Eventually, the family was brought back together and they planted a sugarcane farm at Yandina, Queensland. 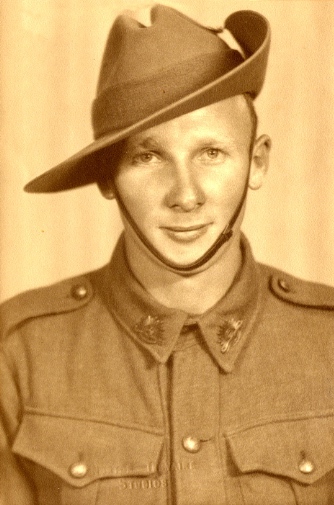 Starting in late August 1942, Harry, like many other young Australian men, was fighting overseas against the Japanese. 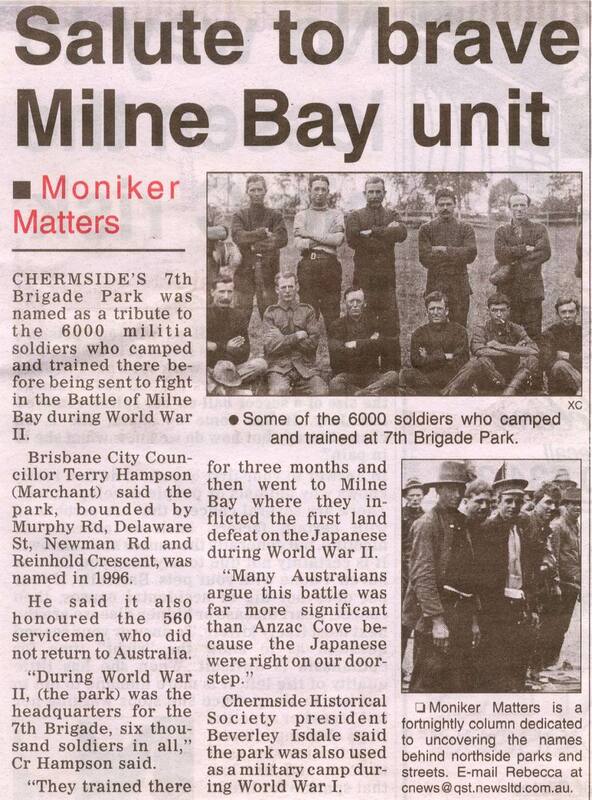 Harry was part of the 9th Battalion of the 7thBrigade stationed in Gili Gili, Milne Bay in Papua New Guinea. After walking into an evening ambush by the Japanese, Harry and another solider were separated from their Battalion. As night fell, they tried to make their way back to their company using Harry’s good sense of direction. As they neared the location, their own troupes started shooting at them, because they thought they were Japanese. Following Harry’s leadership and navigational skills, they headed towards the Bay in an attempt to circle their way back around to the main Australian line. As they journeyed towards the water in almost complete darkness, they passed numerous bodies lying in the grass. Unsure whether they were dead, alive, friendly or hostile, they pushed on until exhaustion took over. When they awoke hours later, Harry sent up a quick, quiet prayer asking God to help them get out of the situation. Instantly, he felt an angelic presence and although He could not see it he could feel it right next to him. He said he felt like a different person and he knew it would be ok.
Harry decided that the safest way to reach the Australian troops camped on the beach and avoid any ‘enemy’ camps was to swim. Unfortunately Harry’s counterpart couldn’t swim, so as the night wore on they started walking along the coral reef, concealed as best as they could, with only the tops of their heads above the ocean water. They started to see the tracers from the Aussie guns on the beach and soon their own countrymen were once again firing on them. Although Harry’s companion started to panic, Harry felt no fear as he continued to feel God’s presence beside him. He knew they would make it to shore even as the bullets continued to go over their heads and wiz past their ears. 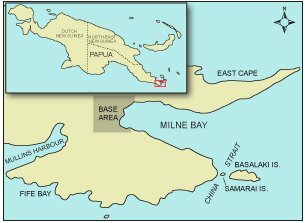 After passing the Aussies, they came into land and re-entered the jungle near a coconut plantation to wait for daylight. With the presence of God by his side Harry knew they were being looked after, even more so when dawn started to draw near and they heard a scraping in a near-by coconut tree. It was a Japanese sniper coming down from his concealed position. The sniper would certainly have seen them come in from the beach, but because the Australian soldiers had fired on them, he did not take them out. Later in his life, Harry went through a period of 2-3 years where he felt that same presence with him frequently. From the moment he opened his eyes in the morning, he felt God’s presence. He said he didn’t ask for it in prayer, or seek it; it just started to happen. He later wondered if it was possible to live like it all the time. 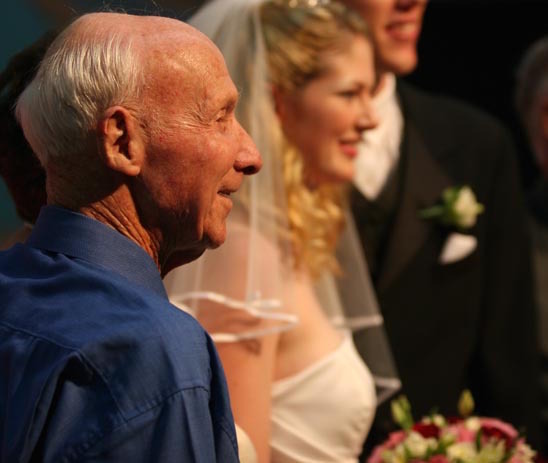 He was a good man, he was steadfast and he was in fact quite simply happy. So much so, that I never knew him by any other name. His name was Happy and everyone called him that. It was probably just a natural progression from Harry, but happy he was, so Happy he was called. Happy was an Australian solider who married the love of his life. He was also a great depression battler, faithful cornet player, foster parent and cancer survivor, but perhaps most importantly, he was my dad’s dad. My grandfather was promoted to Glory on 28th February 2007 and left behind an incredible legacy. The impact that this man had on my life is profound. As a 5th generation Christian on my father’s side I have a rich spiritual inheritance that stretches back to before 1895. I hope to pass on this legacy to my children, not just by looking at the past, but also by looking to the future. So with this in mind we have decided our son’s middle name will be Happy.